In 1992, the first Pietris Bakery Store opened in Corinth, Greece. The resonance and love of the people were so great that the production had to be increased, while more retail bakery stores were opened. Thus, Pietris' facilities were founded in Isthmus, with the production of Pastry, Bread, Confectionery, and Sweets, as well as the Pietris Bakery Shop at the most central part of Corinth. At the same time, a shop was founded on the premises of Isthmus, to establish the integrated production of Pietris. Pietris Group became even bigger with the foundation of Pietris Catering with state-of-the-art facilities in Corinth and began to focus on the organization of weddings, baptisms, and celebrations, while founded an enclosed space (Castello Hall, Loutraki) and open spaces (Pietris Estate & Pietris Junior Estate on site of Pietris at Isthmus). In this way, Pietris Bakery stores are spread throughout Corinthia and Arcadia, with the St. Theodoros Bakery Store being a landmark bakery store in the Mediterranean area. The Pietris Group begins its history in 1930 from Solomos, Corinthia, Greece, with the opening of the first Pietris Bakery Store. The Pietris family, especially Uncle Fanis, succeeded in winning the hearts of all of Corinthia with the two-kilo peel bread, Pietris Tsoureki, and Traditional Pietris Galaktompoureko. 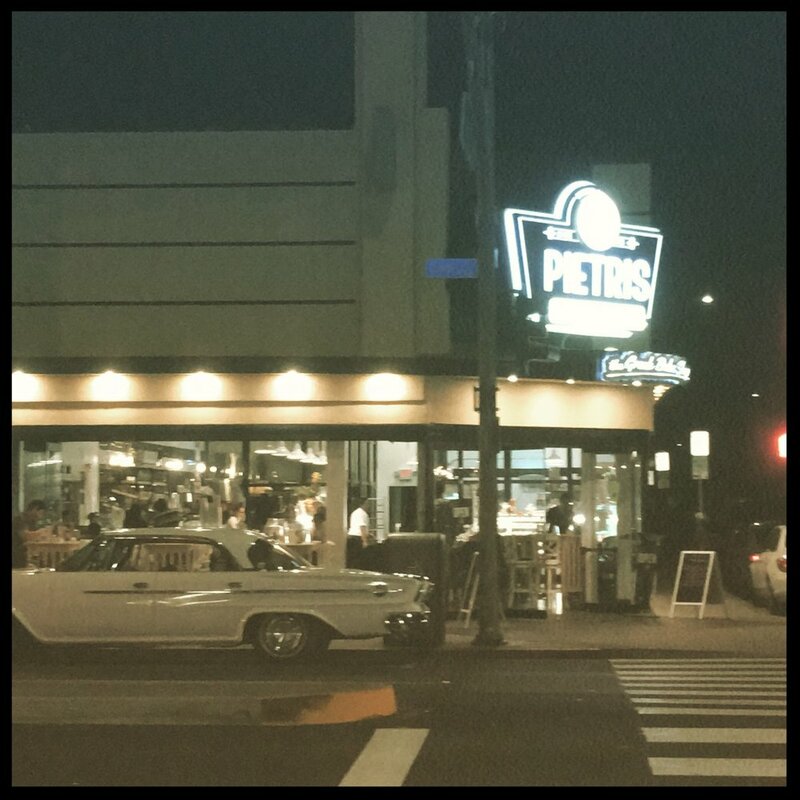 And so, after the Panhellenic fame, the idea of creating the first production at an industrial level began, as well as the introduction of the Pietris products in even more stores. We use only the finest ingredients including locally sourced produce, dairy, real Non-GMO seafood, and meats, imported cheese, Belgian imported chocolates, and prepare our food with exacting standards using only olive oil. We offer vegan, vegetarian and traditional items as well as traditional Greek pastries, breads, entrées, and desserts. We invite you to experience a taste of Greece with us!